Anthony Ormsbee-Hale, VP People Operations at Civitas Senior Living. 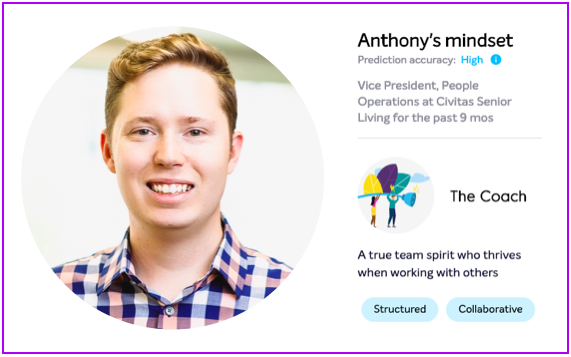 CULTURED: You’re VP of People Ops at Civitas - I’d love to hear more about what that means and what it entails! AOH: Good question! We don’t have strictly defined job roles at Civitas, so all of us tend to have pretty fluid roles. There’s an internal saying that anytime you have an idea, you might as well go ahead and add a bullet-point to your job description. Initially, I was going to be focused on Learning and Development, but I’m 10 months into the job now and my role has evolved to encompass a little bit of everything. I’ve been pretty involved on the recruiting side, but also focused on candidate experience, onboarding, offboarding, and a lot of ad hoc troubleshooting. I work quite closely with the different departments, so I’m pretty much the general People consultant in the organization. CULTURED: What’s your favorite part of the job? AOH: Recruiting! 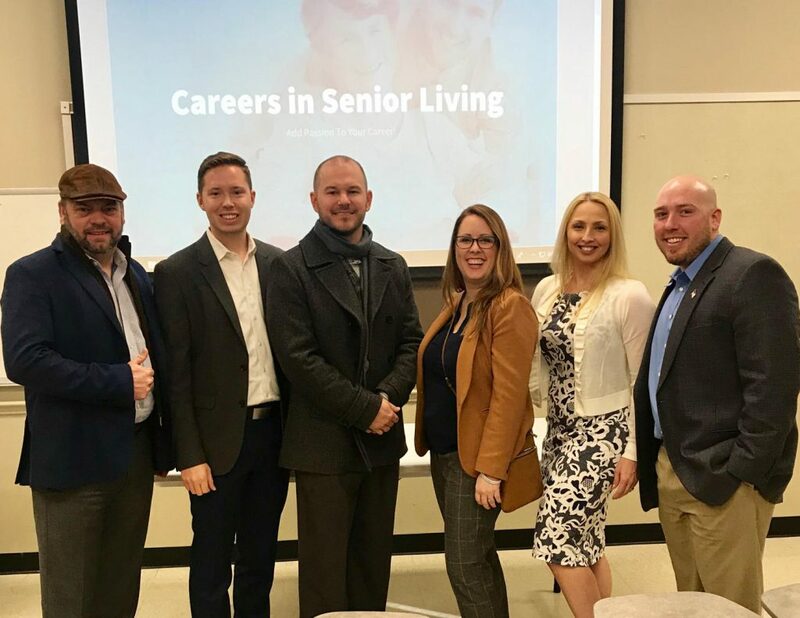 I really enjoy introducing Senior Living to people who otherwise never would have even thought about it as a potential career path. I like making the connection between wellness and hospitality, and seeing people fall in love with the job and make it a career. Luckily, this passion lines up pretty nicely with what the organization needs. Civitas is growing by 25% each year. Combine that with the fact that the Senior Living industry tends to have high churn, and it’s easy to see why I end up spending 50% of my time on recruitment-related work (even though we have a great talent operations manager on the team). to discuss careers in Senior Living. CULTURED: In terms of retention, what can you do to counter that industry trend? AOH: A lot of people in the industry see that trend and just take it as a fact of life. They chalk it up to the nature of the job and say “it’s stressful, it’s high-pressure, it’s normal that people won’t stay as long on average as in other fields”. I say we can’t accept that as an answer. It can be a stressful job, but I believe if we support people, train them well and help them grow, they can have a long and enjoyable career. We’ve also started doing some executive coaching, creating a track for high potential people who are passionate about their job but don’t want to go into management or into a corporate function, and a separate track for people want to become directors (for example). We’ve also implemented the PASSION program, which includes a culture code for employees, and we’ve been fortunate to earn a certification now as a “Great Place to Work”. CULTURED: What are some of the other major People-related challenges are you facing right now? AOH: In terms of specifics, right now it’s employee onboarding! I’m spending a lot of time analyzing what we can improve and developing new training plans to find the right structure - the right mix of classroom vs. on-the-job training, and figuring out how to tailor the onboarding to specific employee needs. For example, should onboarding be different depending on how much prior experience someone has? Do we give people a menu with 3-4 pre-approved onboarding plans to suit their needs? More generally speaking, the challenge I face is to build processes from the beginning. It’s a constant cycle of building and improving. Nothing I do is ever just “done”. I’m always re-working and revamping programs to improve them. It’s a lot of fun, but sometimes it also feels like I’m Sisyphus rolling a rock up a hill, getting to the top only to start back at the bottom again. CULTURED: What’s one thing you’ve learned in the last 10 months in this role? AOH: People don’t always use the tools you give them. I have a tendency to assume that most people want to grow, succeed, innovate, and learn. So when I encounter people who are stuck in their ways it can be a challenge. Not everyone is naturally adaptable or comfortable with change, and that’s something I’ve learned to be more aware of. CULTURED: What role does People Analytics play in your company? AOH: Right now I think we’re using about 5% of what we could be doing in terms of our analytics capability. Our industry tends to be about 5-7 years behind on tech advancements. We’re in a stage where we’re still defining what metrics are really meaningful, whether or not they’re reliable, and what our executives actually need to make decisions. We’re swimming in information, so I’m trying to figure out how we can make sure that our team can actually process the information we give them. CULTURED: What does your tech stack look like? AOH: We just brought our ATS in house (we’re working with Greenhouse). We’re using more traditional HRIS, and now looking bringing in other new tools. For example, we’re looking more closely at compensation-related tools and performance management The problem with HR tech is that there aren’t really many “all-in-one” tools. I’m trying to minimize the number of logins and passwords we need, so If I had a magic wand, I’d create a suite that ticks all the boxes. CULTURED: What are you working on next? AOH: We’re building our own internal learning management program, with our own content. We’ve learned that the out-of-the-box solutions didn’t work for us, so that’s a major project. CULTURED: Last question: Can you tell us an unpopular opinion you have about HR? AOH: Yeah, I think you should embrace having employees interview for roles elsewhere and considering other options. The fact that many companies make people feel guilty for considering their options feels like a form of emotional manipulation to me. As employers, our goals should be to make sure people love their jobs so much they don’t want to leave - not to guilt them into staying.